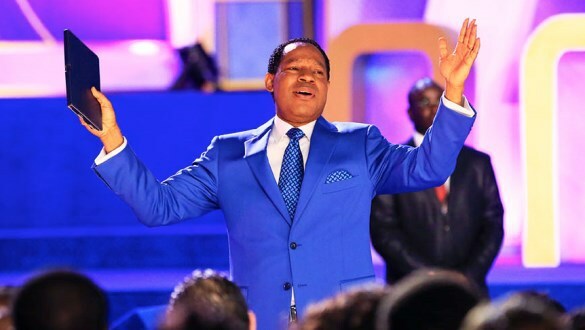 In continuation of his teaching on the Power of Pursuit of Purpose at the ongoing International Pastors and Partners Conference, in Lagos Nigeria, Pastor Chris admonished the congregation on the importance of service in the house of God without complaints or grumblings. Sharing some of his personal experiences, Pastor Chris said that as a Bible Class Teacher many years ago, his class used to be the largest. But the Chief Bible Class Coordinator used to take his members and distribute them among other Bible Classes whose leaders were not winning as much souls as he was winning. “I wasn’t discouraged. I continued to win more souls. A year later, I was made the President of that Fellowship. God doesn’t sleep, He was watching all this while”. “Don’t grumble when they take people away from you. Go and refill. If it is the Spirit that’s helping you, He will continue to help you to refill. Don’t be angry about anything”. Pastor reminded the delegates that God told Samuel that he shouldn’t be angry that the Israelites rejected Him. “Anger makes you ugly in the spirit. The word of God purifies and glorifies us. We leave the house of God much more glorious than we come in”. If we carry out our responsibilities in the house of God without bitterness, complaints and grumblings, we will surely soar in the things we do, he added. Weoo so powerful and glrious . Praise the Lord.